Huawei arrest: What's happening between Canada and China? U.S. officials have filed an official request to extradite Huawei executive Meng Wanzhou, who is out on bail after being arrested in B.C. Here's a look at what sparked the arrest, and the fallout that followed. On Dec. 1, the RCMP, acting at the request of U.S. justice officials, arrested one of China's top business executives while she was waiting for a flight at Vancouver International Airport. U.S authorities allege that Huawei CFO Meng Wanzhou​ committed fraud by lying to American banks about her company's ties to a telecommunications firm that did business in Iran. That business was a breach of sanctions on Iran, U.S. justice officials allege. 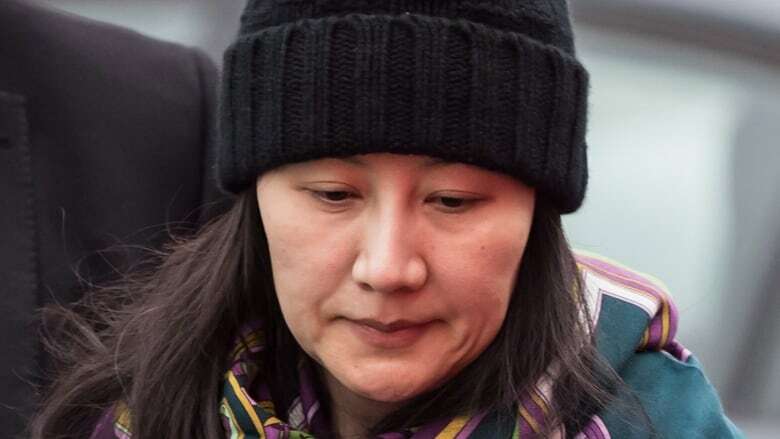 The arrest of the high-profile tech exec sparked immediate reaction from China, where officials have vocally criticized her apprehension — and the role Canada played in facilitating it. As the U.S. makes a formal request for Meng's extradition, the Huawei case is about to enter a new stage. But it's still unclear how the tangled situation will unfold. Here's a look back at how it all began, and some of the key moments. Dec. 1, 2018: Meng is arrested at Vancouver airport by Canadian police. The arrest was set in motion by a request from American officials, who learned the telecom executive would soon be passing through B.C while travelling from Hong Kong to Mexico. Dec. 5, 2018: CBC News confirms reports that Meng had been arrested in B.C. Huawei issues a statement saying it is not aware of any wrongdoing by Meng and has been provided "very little information" about the charges. "The company believes the Canadian and U.S. legal systems will ultimately reach a just conclusion," the statement says. The Chinese embassy in Ottawa has a sharper take, saying it had "lodged stern representations with the U.S. and Canadian side, and urged them to immediately correct the wrongdoing and restore the personal freedom of Ms. Meng Wanzhou." Dec. 6, 2018: Prime Minister Justin Trudeau weighs in, saying: "The appropriate authorities took the decisions in this case without any political involvement or interference ... we were advised by them with a few days' notice that this was in the works." Dec. 8, 2018: China summons Canada's ambassador, John McCallum, to lodge a protest — and warn that Canada could face consequences over the arrest. 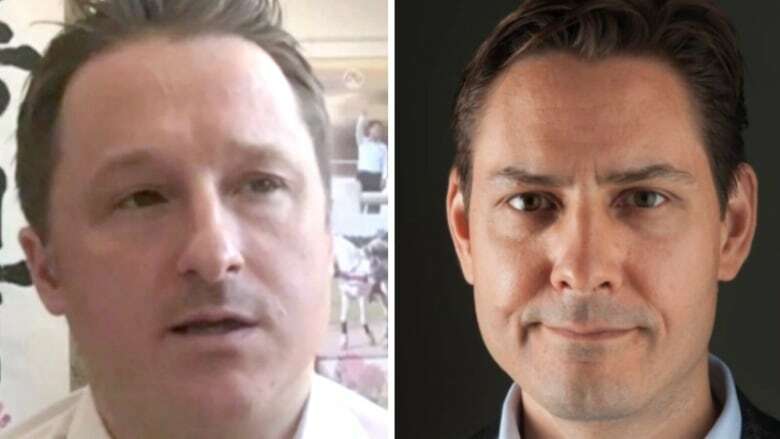 Dec. 11, 2018: Canada confirms that Michael Kovrig, a former diplomat working with International Crisis Group, has been detained in China. That same day, Meng is released on $10 million bail with several conditions, including a requirement that she surrender her passport and pay for 24/7 monitoring. U.S. President Donald Trump wades into the debate, telling Reuters that he'd be willing to intervene in the case if it was in the best interest of Americans. "Whatever's good for this country, I would do," he says. Dec. 12, 2018: Chinese media report that another Canadian, businessman Michael Spavor, has been detained on suspicion of endangering national security. Spavor is founder of an organization that arranges travel to North Korea. Dec. 16, 2018: Canada is granted consular access to Spavor, Global Affairs Canada says. Dec. 21, 2018: Foreign Affairs Minister Chrystia Freeland calls for the immediate release of Spavor and Kovrig, and accuses China of detaining the men without cause — a position soon echoed by U.S. officials. Dec. 24, 2018: China again takes aim at Canada and its allies, saying Meng's arrest is "illegal" and countries expressing concern about Spavor and Kovrig have different standards on human rights for citizens of different countries. 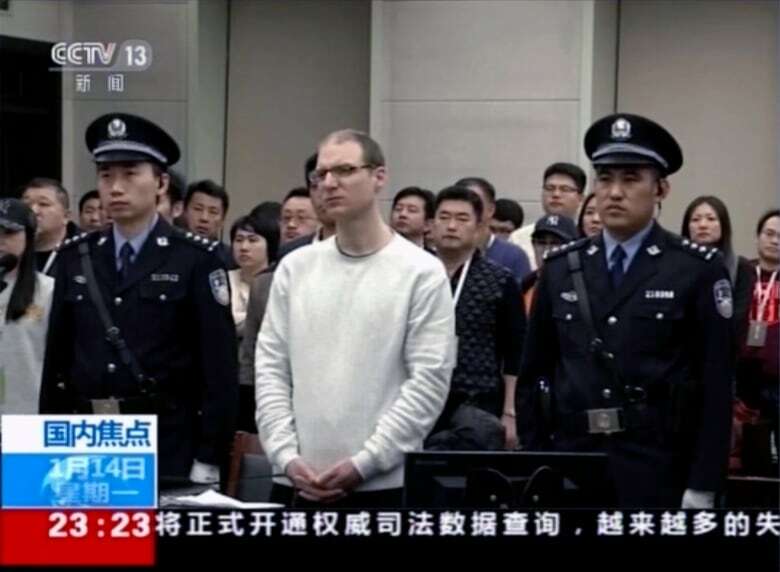 Dec. 29, 2018: The case of another Canadian detained in China makes headlines when a court orders a retrial for Robert Schellenberg, who had appealed after receiving a 15-year sentence for a conviction in a drug smuggling case. Jan. 3, 2019: A group of MPs and senators say they will proceed with a planned trip to China, despite mounting tensions. The trip, hosted by the Canada-China Legislative Association, had been in the works for months. Jan. 6, 2019: Just days after one member of the Canadian delegation said that discussion of the detainees was not on the agenda for the China trip, there's a change in message. Senators and MPs say they are raising the case as they meet with Chinese counterparts. Jan. 8, 2019: Reuters publishes a report saying documents link Huawei to equipment seller Skycom Tech Co. Ltd. and Canicula Holdings Ltd., suspected front companies in Iran and Syria. That same day, Trudeau's office puts out a statement saying that in a call with the prime minister, Trump affirmed the need to respect judicial independence. Jan. 9, 2019: China's ambassador to Canada pens a scathing op-ed in the Hill Times, in which he says "Western egotism and white supremacy" have played a role in the conflict over detainees. Jan. 10, 2019: Consular officials say they've had a second meeting with Kovrig. Jan. 11, 2019: Trudeau accuses China of violating diplomatic immunity in the case of Kovrig, who is on leave from Global Affairs Canada. "It is unfortunate that China has arbitrarily and unfairly detained two Canadian citizens, and indeed, in one of the cases, is not respecting the principles of diplomatic immunity." Jan. 14, 2019: A spokesperson for China's foreign ministry says Kovrig doesn't have diplomatic immunity. Asked about Trudeau's comments, Hua Chunying says that the "relevant Canadian person" should "earnestly study" the Vienna Convention before speaking, so as to "not become a laughing stock." That same day, Schellenberg is sentenced to death for drug smuggling. Trudeau accuses China of arbitrarily applying the death sentence. Jan. 15, 2019: Canada issues an updated advisory for travellers to China, saying there's a risk of "arbitrary enforcement of local laws." China immediately responds, issuing its own advisory urging its citizens to "fully evaluate risks" ahead of travel to Canada, citing the recent "arbitrary detention" of a Chinese citizen. Jan. 16, 2019: Freeland says the government has spoken with China's ambassador to Canada to ask for clemency for Schellenberg. Ambassador to China John McCallum, meanwhile, says Spavor and Kovrig don't have access to legal counsel and face up to four hours a day of interrogation. Jan. 17, 2019: The tensions between Canada and China aren't limited to the issue of detainees. There's also a question of whether Canada will allow Huawei equipment in next generation 5G mobile networks. The federal government is still studying the issue, but China's ambassador to Canada says, "I believe there will be repercussions" if Huawei is banned. Jan. 18, 2019: Public Safety Minister Ralph Goodale says Canada won't compromise national security as it weighs its options for a 5G network. Jan. 21, 2019: A group of 140 former diplomats, scholars and others pen a letter urging China to release Kovrig and Spavor. Trudeau and Freeland. meanwhile, have been reaching out to leaders around the world to try and increase pressure on China. Jan. 22, 2019: China accuses Canada and the U.S. of abusing the extradition system ahead of a Jan. 30 deadline for American officials to file an official extradition request. There's another twist when Canada's ambassador to China, John McCallum, speaks to Chinese-language media on Jan. 22 in Markham, Ont. McCallum says he thinks Meng has "strong arguments" to make before the courts as her extradition case moves forward. "I know this has angered China, but we have a system of extradition treaty, a system of rules of law, which are above the government," the ambassador says. "The government cannot change these things, and as I said, I think Ms. Meng has quite a strong case." Jan. 24, 2019: After facing criticism for his remarks — including a call for his resignation from Conservative Leader Andrew Scheer — McCallum says he misspoke and regrets his comments. 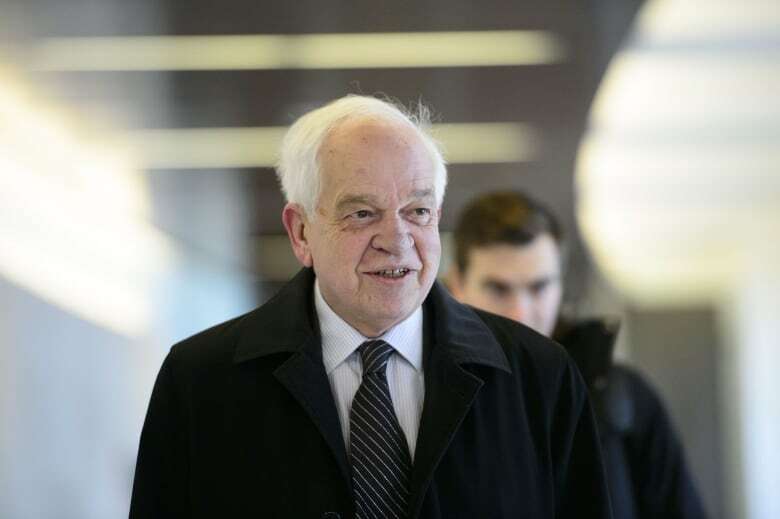 Jan. 26, 2019: John McCallum is fired after reportedly telling StarMetro Vancouver it would be "great for Canada" if the United States dropped their extradition request against Meng. Jan. 28, 2019: The U.S. provides details of the criminal charges against Meng, along with charges against Huawei and some of its affiliates. Canadian officials confirm the same day that U.S. officials have made a formal request to extradite Meng, who is accused of wire fraud, bank fraud, and conspiracies to commit wire and bank fraud. Jan. 28, 2019: China urges the U.S. to withdraw its extradition request. China's latest push comes after Huawei issues a statement denying wrongdoing. The official extradition request made by the U.S. is just the starting point for what's expected to be another round of legal wrangling. There's no sense of what will happen next with Spavor and Kovrig, or Schellenberg's case — though Canadian officials have made it clear they plan to keep up the pressure.